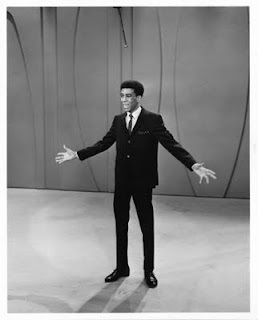 For 23 years, The Ed Sullivan Show was watched by millions of Americans every Sunday night on CBS. Ed Sullivan's Comedy Legends uses archival footage to bring back comedy giants performing their classic routines on live TV. Ed Sullivan's Comedy Legends will feature clips of many of America's comedy legends, including Jack Benny, Bob Hope, Red Skelton, George Carlin, Richard Pryor, Flip Wilson, Joan Rivers, Alan King, Jack Paar, Jackie Gleason, Victor Borge and many more. Executive Producer Andrew Solt, whose company SOFA Entertainment acquired The Ed Sullivan Show library over 20 years ago, announced today that ED SULLIVAN'S COMEDY LEGENDS will premiere on PBS stations August 6th. This star-studded special brings back the show's greatest moments that defined the history of comedy, including the timeless routines of George Carlin, Richard Pryor, Rodney Dangerfield, Bob Hope, Jack Benny, Red Skelton, Flip Wilson and many more. Hosted by Mary Tyler Moore, this captivating retrospective features poignant new remembrances from some of the brightest stars in comedy, including Ed Sullivan veterans Joan Rivers, Carol Burnett, Jackie Mason, Rich Little, Carl Reiner, Jerry Stiller and Anne Meara - as well as fresh testimonials from the next generation of great comedians, many of whom saw standup comedy for the first time on Ed's show. Jerry Seinfeld, Ray Romano, George Lopez, Arsenio Hall, Kathy Griffin, Joy Behar, Richard Lewis, Lisa Lampanelli and more come together to celebrate the show that brought the best in comedy into millions of American homes every Sunday night. Jerry Seinfeld remembers: "These are the people that I watched when I was a kid...that made me want to become a comedian. I would sit there in front of the TV and I was fascinated by what they were doing and all I wanted in life, and still want, is to be one of them - which I am now." "I have such a soft spot in my heart for Ed's show," says Joan Rivers. "It's the only original part of me I have left unfortunately." "[The Ed Sullivan Show] was my introduction to standup comedy," reflects Ray Romano. "Where else would I have seen it?" "This is the kind of program that you're happy to share with your children and your grandchildren," says Carol Burnett. "This might even be the first time they've been exposed to these comedy legends... PBS is preserving an important part of our American heritage - comedy that the entire family can laugh at together." Catch this memorable show on Saturday, August 6 at 6 p.m. on WSBE Rhode Island PBS! What is the nature of human uniqueness? Where did the Human Spark ignite, and when? And, perhaps most tantalizingly, why? In the three-part series Human Spark, Alan Alda takes these questions personally, visiting with dozens of scientists on three continents, and participating directly in many experiments – including the detailed examination of his own brain. Alda is uniquely qualified for this role. As an actor and author, and as the long-time host of the PBS series Scientific American Frontiers, he has a passion for both the humanities and science. He brings his trademark humor and curiosity to face-to-face conversations with leading researchers seeking the Human Spark, from archeologists finding clues in the fossilized bones and tools of our ancestors; to primatologists studying our nearest living relatives to explore what we have in common and what sets us apart; to neuroscientists peering into his mind with the latest brain scanning technologies. Human Spark will air on three consecutive Wednesdays at 8 p.m. (July 27, August 3 and 10) on WSBE Rhode Island PBS and rebroadcast Fridays at 12:30 a.m. (July 29, August 5 and 12). CLICK HERE for more information and some Web-only videos. 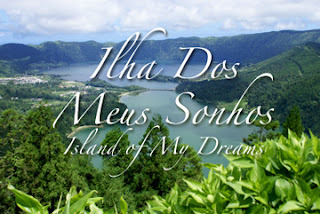 The Ilha dos Meus Sonhos (Island of My Dreams) documentary film made its public television premiere exclusively on WSBE Rhode Island PBS on Saturday, May 21 at 7 p.m. This documentary will encore on Saturday, July 16 at 7 p.m. (with rebroadcast on Sunday, July 17 at 11 p.m.) as part of the ongoing WSBE series Rhode Island Stories, and on WSBE Learn on Wednesday, July 20 at 10 p.m.
WSBE Rhode Island PBS transmits over the air on digital 36.1; on Cox 708HD / 08, Verizon 508HD / 08, Full Channel 08, Comcast 819HD / 09, 19, 20, or 11, depending on location (check local Comcast listings for standard definition channels); on DirecTV 36, and Dish Network 7776. WSBE Learn transmits on digital 36.2; on Cox 808, Verizon 478, Full Channel 109, Comcast 294 or 312. On Wednesday, July 20 at 8 p.m., Minds on the Edge: Facing Mental Illness connects the dots between personal dilemmas facing individuals and families who are living with mental illness, medical practices that can be obstacles to treatment, laws that may have unintended consequences, and public policies that all too often fall short in responding with programs that could make a positive difference. It zeroes in on wrenching and confounding situations that are playing out every day in homes and hospital emergency rooms, on city streets and school campuses, in courtrooms and in jails, as Americans struggle with the challenges of severe mental illness. The distinguished panel includes U.S. Supreme Court Justice Stephen Breyer and Nobel Prize-winning neurologist Dr. Eric Kandel, along with attorneys, doctors, legislators, and other experts in the field. Together, they wrestle with gripping dilemmas in hypothetical scenarios that are the signature format of the Friendly Seminars and confront hard choices that are all too real.